This past Monday was President’s day. I remember a time when we celebrated both George Washington’s birthday and Abraham Lincoln’s birthday every February, and on, of all days, their actual birthdays! But now we just celebrate President’s day and celebrate all presidents because it’s much more convenient, expedient and cost effective…and it’s always on a Monday!… which must be because all presidents were born on Mondays? Silly me, it’s because all Mondays come immediately after all weekends. But seriously, if you’ve ever been to school then you have heard the story of our first president, George Washington, and his childhood experience with a certain cherry tree. George Washington grew up on Ferry Farm and while it hasn’t been confirmed that his cherry tree story was true, it has been confirmed that there were cherry trees on the farm when George Washington was just 6 years old…so who knows? In any event the point of the story, as it was made clear to all of us who heard, it was that George Washington never told a lie… and neither should we. And why? Because honesty is always the best policy, that’s why. And the truth shall set you free! And it was all simply part of a grade school narrative enforcing good old American values that included truth, justice, honesty, morality, and the golden rule. And if these values were good enough for and respected by the first President of the United States…the Father of our Country…then they certainly were to be embodied in each of us. But that was a long, long time ago…how many people today believe that honesty is the best policy or that the truth shall set one free? Our 45th president lies on a regular if not daily basis (as kids would say) like a rug…and he has a staff that is willing to repeat those lies, if for no other apparent reason, simply because it is their job. Imagine that? There are jobs now in which the sole job description is to lie “truthfully”…but to be fair (another word that has all but lost its meaning) there is so much lying being employed as a “strategy” in so many work places in today’s world that it is hard to tell where the truth actually… lies! Is there anyone out there who can seriously dispute that right now our Congress is hard at work trying to find a way to “honestly” explain to the American people why we DON’T need healthcare, food-stamps, affordable housing, fair wages, women’s rights, human rights, clean air, clean water, Social Security, Medicare, Medicaid and Peace. And that what we “honestly” DO need is a wall, deportations, travel bans, cuts in social services, and more weapons for more war. The one truth that I’d like to learn is…who is our government working for? I’m serious…really… Wouldn’t it be nice to know who it is they are actually working for? It can’t possibly be US, can it? That’s one truth we know…isn’t it? I’m even beginning to wonder if they are even working for people! Just about everything our legislators (especially Republicans) seem to want to do these days is anti-People and anti-Earth. Who’s left? What’s left? Am I right? And now, whether or not we are being lied to or told the truth…we can’t know for sure… if we know anything at all. Human is, as Human ___? 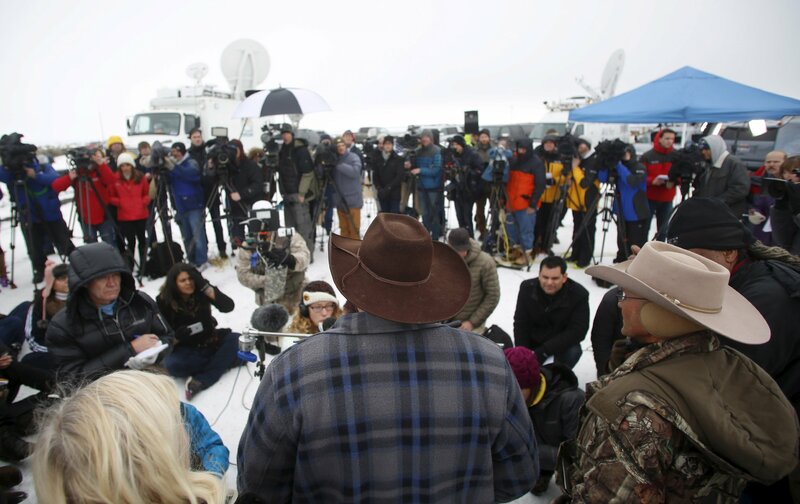 Earlier this month, After 41 days of an armed occupation of a federal wildlife refuge in Oregon, all of the armed militants surrendered peacefully. And even though the armed occupiers were “heavily armed” and had multiple weapons that they at times threatened federal authorities and police officers with and had even pointed at them while shouting phrases like, “You’ll never take us alive” and “We’ll never surrender”, they were all captured peacefully. No one was injured, and no shots were fired during the arrests in which officers of the law were heard to say, “nice and easy, hands behind your back.” I’m not sure if the words please were ever uttered by law enforcement officials but shouts of “hallelujah” echoed through the phone lines of those involved in the final roundup of the protesters. Did I mention that the protesters were armed…with guns? And after their surrender they informed federal agents that the occupied area had been left booby-trapped…with explosives! And finally, after carefully (very) searching through the area, Investigators indeed found explosives, firearms and even human feces to add to the occupiers careless 41 day desecration of what was a 6,000 year old Native American archaeological site. shot in the back while running away, or shot in the front 15-20 times while holding what appeared to be weapons, or shot while surrendering, or shot while sitting in a wheelchair, or shot while being only 12 years old, or shot while holding a toy gun, or shot by a ricocheting bullet fired in fear of one’s safety, or shot to death while sitting in a car, or choked to death after surrendering, or found hanging in a jail cell after capture, or found dead in a van after the drive to jail. So let’s all cheer “Hallelujah!” It can be done. Those who either are or are perceived to be, Threatening, belligerent, frightening, angry, heavily armed, militant criminals can be apprehended peacefully, even when law enforcement officers are in fear for their lives…even though I read no mention in any of the Oregon reports, of any law enforcement officers expressing fearfulness for their lives during the 41 day ordeal…although I’m sure, at some point, they must have. In conclusion: Humanity can and does work! Everyone should give it a try. A 17 year old senior at Edmonson County High School in Kentucky, got in trouble last week for wearing a dress that did not meet the stringent requirement of the Kentucky high school she attends. The dress, was considered to sit too high above her knees. According to the high school’s dress code, dresses worn by young ladies at the high school must not be more than 6 inches higher than the knee. You’ll notice in the picture below that the student in question was also wearing black tights beneath her dress but still she had to prove that her dress was the appropriate length by kneeling before her principal (a man) so he could measure its distance from the floor and then by walking around with her arms in the air (again in front of her principal) to see if her dress rode up any higher than previously measured. She failed her test…but only after walking around with her arms in the air. Otherwise she would have passed. Somewhere between 30 to 40 girls were sent home by the principal that day for similar violations. Boys, in case you were wondering, have a dress code too but usually only get sent home if their clothing is ripped or torn in some way, as in ripped jeans etc. There was no mention as to how long boys had to wear their skirts when they wear them. This is 21st century America we’re living in isn’t it? So you know that boys get to wear skirts and make-up too… Don’t they? But I digress because look at what girls in Kentucky high schools get to wear when they are not in the classroom… Here is the Kentucky high school championship Cheer-leading team…sans leggings…and you certainly wouldn’t want to use a ruler to measure their skirts distance from their knees. And are those skirts? Here’s a typical Kentucky HS field hockey team? Don’t they make shorts for girls anymore? Because here’s what the Kentucky boys wear when they play basketball. Their shorts seem to fall about 5 inches below the knee! Go figure! What is appropriate for young women to wear in public high schools these days and why can’t they choose to wear what they like and are most comfortable wearing, like the boys do? As long as it’s not ripped or torn? Have we come a long way in our attitudes about men and women here in the United States or haven’t we? I leave that question for the women to answer because I’m pretty sure that we men have absolutely no clue…oh we have a code…but I’m pretty sure it’s not for everyone. Scientifically speaking, we humans are all alike, because all humans can trace their family tree back to a surprisingly small group of common ancestors. And recent evidence shows that every person on Earth’s most recent common ancestor might have died less than 2000 years ago. And If you simply count the number of parents you have (2) and then keep multiplying by 2 (because every parent also has 2 parents) for each generation of your family, you’ll discover that you alone have billions of ancestors just within the last thousand years or so. And that’s true for all people because…we all share ancestors. Yet, if you ask people about this they will probably tell you about how different we all are. And about how something as simple and as superficial as skin pigmentation can penetrate deep down into a human beings soul to make them altogether a completely different species of human being from you. And they’ll probably tell you about how our belief systems are so different and varied and in such opposition to one another as to make us all completely incompatible. So much so that we all have to fight unceasingly, without the hope of ever agreeing with each other, forever. And this is all because we are so different from one another…even though all of the evidence that we have discovered here on Earth and even out in space, shows us that we are not. And not many of us ever seem to realize that our belief systems, which we hold so dear and to be incontrovertibly ours throughout time, are simply that. Belief systems: meaning based on beliefs that are not supported by facts but rather by… thoughts and ideas that we have or by stories that we have been told. And even though we can provide no concrete or indisputable proof, evidence or even facts to support our firmly held beliefs, we don’t care. We just believe. And so we fight, over ancient books written by ancient minds and untruths told by small minded people and misconstrued notions forged from ill conceived imaginations. And when the facts prove us to be wrong or when we discover that our proofs have no facts to support them? We, at best, say maybe…and then fall back on our beliefs, which we know, by the very name we give them…to be unsupported convictions held together by opinion, acceptance and faith. So is this because thinking, that which separates us from the other animals in our world…makes it so? And is it that “making it so” is better than discovering “what is so”? 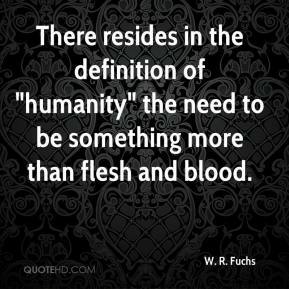 And is that what it means to be human? That we embrace what we make… more lovingly than what we find? And thus we tragically end up with… not “I think therefor I am”, but rather…I believe therefor I am…(with the addendum) and you’re not. So isn’t it also interesting to note that while science seeks answers in an effort to provide hope for the future of all human kind, faith almost always provides us with the hope for global destruction of all human kind so that we can go to another place where we won’t be able to screw everything up with our belief systems. Here is a copy of the map that Dr. Ben Carson’s presidential campaign shared recently on Facebook in an effort to show how America’s governors are standing up and saying no to Syrian refugees. However, upon close inspection you’ll notice that the good doctor and his campaign specialists know very little about what America looks like…at least on a map! Five New England states are in the wrong location, and where’s Connecticut??? And what’s that crazy blue state shaped like a gun next to New York? And get a load of all that great beach front north of NYC! Massachusetts borders Canada! They can see Sarah Palin’s house now! What’s Maine doing up around the North Pole! And Maryland’s got a new crab claw! Sorry Virginia! Who is this Dr. Carson anyway? A brain surgeon?! I’ve said it before and I’ll say it again. If you are an idiot you should not be allowed to run for the Presidency of the United States. We have tests and standards that students must pass and demonstrate before they can graduate high school. But we have no test to determine whether or not our politicians are qualified or intelligent enough to run and manage one of the largest countries in the world, with over 300 million citizens and trillions and trillions of dollars in bills and expenditures. Our only qualifications are: Citizenship, age and immense access to great wealth…period. Here’s a thought. Let’s send Dr. Carson and his campaign aides to wherever the refugees are so they can lead them to their promised land. God knows where they’ll end up… but I doubt they’ll be able to find the United States. The girl in the above video was arrested for “disturbing school” and later released to her family. A 2015 report from the African American Policy Forum found black girls, like black boys, faced harsher discipline than their white counterparts in a review of New York and Boston school discipline data. adjective: incompetent: not having or showing the necessary skills to do something successfully. inept, unskilled, unprofessional, leaving much to be desired. I am still amazed at how often people in authority seem to feel that violence or aggression goes hand in hand with their authority and is the logical go to option whenever they are confronted by people who do not readily submit to their orders. In education, where I spent 33 years as a high school teacher, and 16 years before that as a student, the first lesson always taught to children (and to first year teachers I might add) is that fighting or aggressive physical behavior, is never the answer to anything. “Judge not”, “Turn the other cheek”, “Love your enemies”, “Do to others whatever you would like them to do to you”, “Love your neighbor as yourself”. We always seem to treat these maxims which we say are from God as being that which will apply to us when we are all dead and in Heaven…that most wondrous of invisible lands where we are all destined to live in peace and love. But here on earth we fight…forever and always, and can’t ever seem to figure out why, except that we’re pretty well sure that it’s the other guys fault…almost always. What we need is a religion for the living here on Earth. Something that sticks with us and that we can apply when we feel disrespected and scorned and out of sorts with the world. Something that overrides our urge to always want to choose violence as the way to show others who’s the boss. During Desert Storm, the first war in Iraq, a student in my class raised his hand and asked me a question. “Yes, I think you’re right.” I said. He asked me that question in 1992 and although I had no answer for him then, apparently my answer should have been, “Oh, I’d say about 16 years!” War is stupid because eventually we all go broke. You can bet money on it! Just ask Egypt and Greece and Rome and Persia and Spain and England and France and the Soviet Union and…now…US.! We owe 18 trillion dollars and have no plans for paying off that debt except for the proposed dismantling of our Social services, pension systems and national infrastructure. Some plan, huh? All civilizations eventually either spend all of their money on feeding the wealthy’s appetite for more wealth or on war, neither of which is an ingredient in any recipe for the extended prosperity and growth of a civilization and its people. And we here in the United States are doing both…at the same time! Education however, no matter how expensive it may be for a civilization’s inhabitants to fund, sustain and expand never leads to the end of anyone’s civilization. When will we ever learn that?